Leading German appliance brand Küppersbusch is delighted to launch its new 2018/19 brochure. A comprehensive overview of its latest collection detailed over 285 pages. 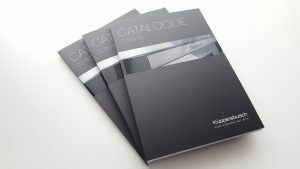 A perfect marketing tool for retailers, Küppersbusch new brochure boasts a premium brand offering for cooking, extraction, cooling and laundry appliances. Pioneers of cooking technology since 1875, Küppersbusch features an array of new products including two innovative ovens that have just been awarded the highly acclaim Red Dot Design Award 2018. Underlining its commitment to quality, Kuppersbusch has launched its new FREE 5-year standard manufacturer’s warranty available across the entire collection. Welcomed by retailers, the new 5-year parts and labour warranty helps finalise a sale and gives customers added peace of mind.